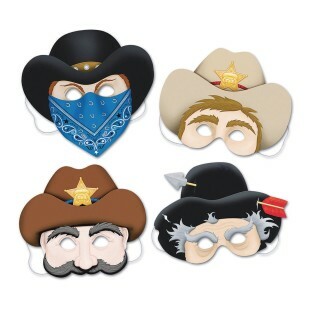 Bring the wild west to your next event! Get into character with whimsical western half-masks! Each mask is approx. 13" wide with elastic band for fit.